A debut novel of violence, love, faith, and loss, as a young woman at an elite American university is drawn into acts of domestic terrorism by a cult tied to North Korea. The Incendiaries is a sharp, little novel as hard to ignore as a splinter in your eye. You keep blinking at these pages, struggling to bring the story into some comforting focus, convinced you can look past its unsettling intimations. But R.O. Kwon doesn’t make it easy to get her debut out of your system ... Kwon’s crisp, poetic style conveys events that feel lightly obscured by fog, just enough to be disorienting without being frustrating ... One of the cleverest aspects of The Incendiaries is the way Kwon suggests that all three of these people are lying, though for different reasons and with wildly different repercussions ... In a nation still so haunted by the divine promise, on the cusp of ever-more contentious debates about abortion and other intrinsically spiritual issues, The Incendiaries arrives at precisely the right moment. Kwon evades the pitfalls of the religious novel by giving them the widest possible berth. Here are a handful of facts, she seems to say, if they even are facts. Make of them what you will ... The Incendiaries is so parsimonious with description as to seem nearly starved of it. Kwon makes few attempts to summon an atmosphere or to flaunt arresting imagery, although when she does she acquits herself beautifully ... The Incendiaries seeds such paradoxes in the mind of the reader. It doesn’t force them. It is full of absences and silence. Its eerie, sombre power is more a product of what it doesn’t explain than of what it does. It’s the rare depiction of belief that doesn’t kill the thing it aspires to by trying too hard. It makes a space, and then steps away to let the mystery in. In R. O. Kwon’s radiant debut novel, The Incendiaries, her two central figures are the perpetrators, and victims, of the act of charm ... This is a dark, absorbing story ... 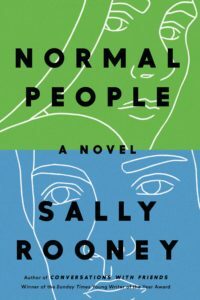 The novel is about extremism, yes, but it’s for anyone who’s ever been captivated by another; for anyone who has been on either side of a relationship that clearly has a subject and object of obsession ... Kwon makes real two characters who are, at first, types ... Kwon’s ornate language adds a creeping anachronism to the chapters. Its metaphors seem accessible at first, but take a bit of parsing ... This unusual novel, both raw and finely wrought, leaves the reader with very few answers and little to rely on. What did you think of The Incendiaries? 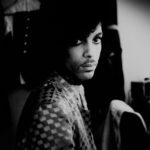 Prince's unfinished memoir to be published. Maxim Shrayer remembers Dmitri Nabokov. Laura Miller reviews the Mueller Report. Mark Edmunson on Walt Whitman.